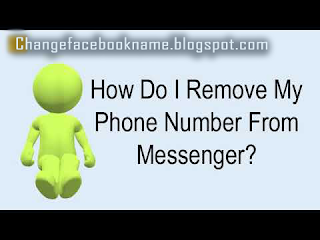 How to Remove My Phone Number from Facebook Messenger: If you utilize Facebook from a mobile device or from a PC, your mobile number will definitely appear to all your friends on your profile page and even anyone can have access to it whenever they want to. This may be a problem because you don’t may not know who wants it or who is checking your account on Facebook. Then select messenger, from the here clear data and clear cache. Now open Messenger app and login into your account. You will notice that your phone number isn’t attached to your Messenger anymore. I hope I was able to teach you on how you could remove your Phone number from your Facebook Messenger, kindly share this with your contact so they can learn how it is done.